Last year today Mother Theresa was canonized a saint. 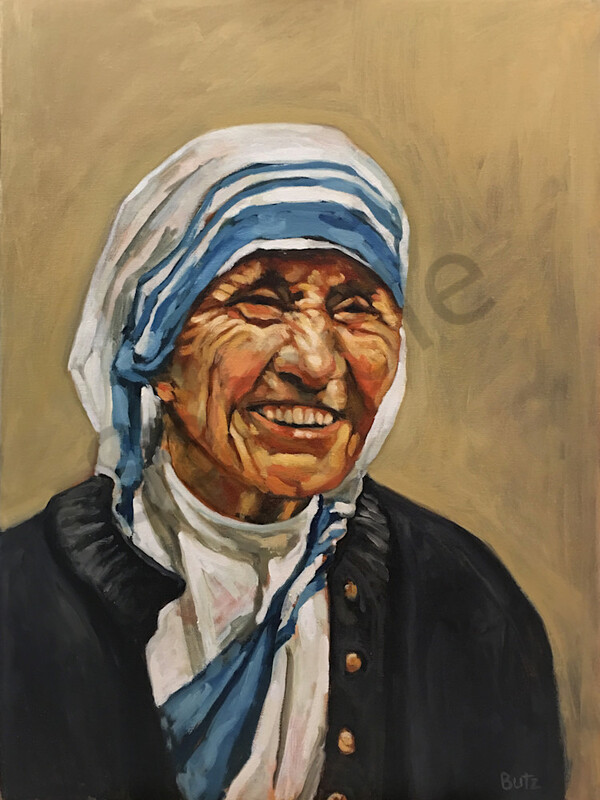 I started this painting last year in honor of her canonization. So many of the paintings I do for my Everyday Saints series, are really about the mercy of God. I don't think there was a person in our modern times that showed the love and mercy of God like she did. She is truly my hero and I think we all need to try to Love unconditionally like she did.